Too occupied to stay online 24/7 and check your charts all the time? That's all right, we have your back! 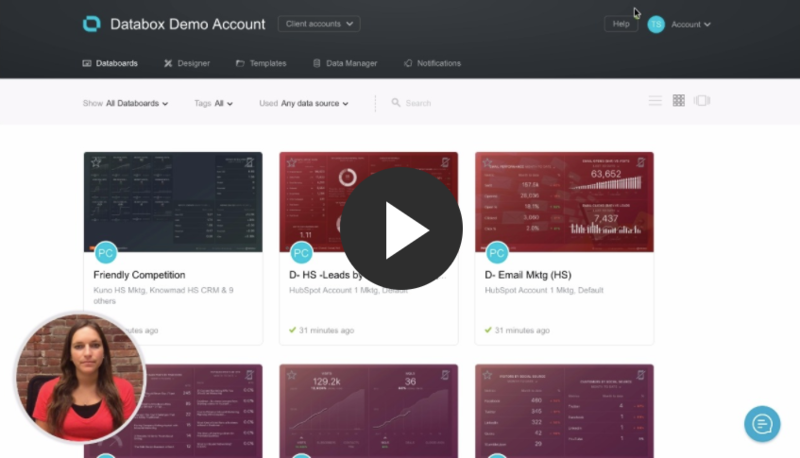 With our Alerts feature you will never ever miss the big changes in your data. 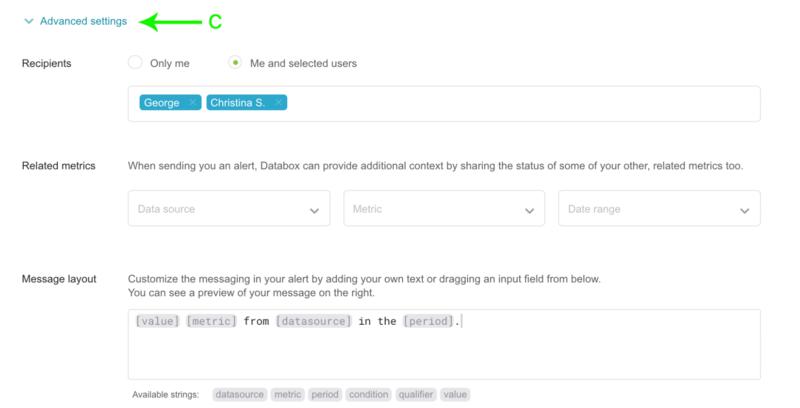 With Databox alerts, you will be notified of any sudden changes, or when new trends are emerging. You can add new alerts in the web application or in the mobile app (you can add new or configure existing alerts in the Alerts tab). 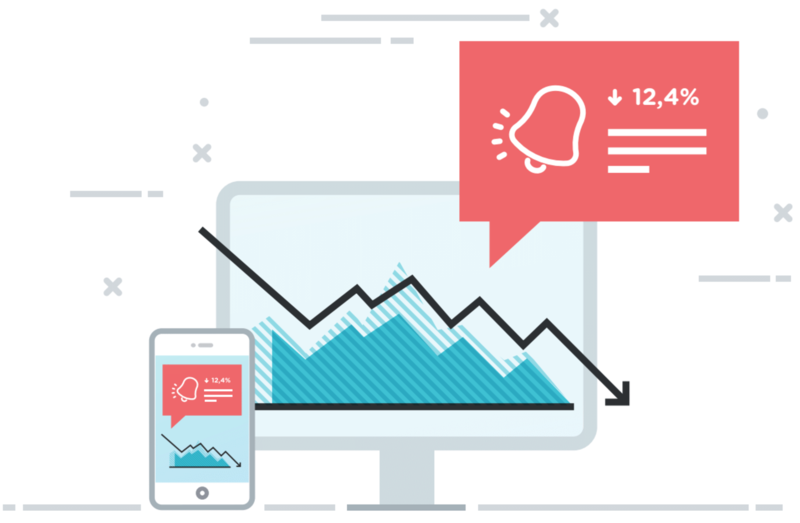 Use alerts to proactively monitor your data in order to recognize emerging trends or automatically receive a notification that an important metric has suddenly changed. This is the best way to make sure you're never caught off guard by your data. Click on "Notifications" in the top menu bar and then select "Alerts" in submenu. Click on the green "Create your first alert" button or (if you already have some alerts) "+ New alert" in the top right corner. Login to the Databox mobile application. Tap on "Alerts" icon in the menu bar at the bottom of the screen. Tap on "+" in the top right corner of the screen. If you followed the steps above, you should get to the page with the layout below. Under the image, there are explanations for every piece of these alert settings. Notify me when: In this section, you can select the data source, metric, qualifier and conditions for when the alert will be pushed. Deliver as: Choose what type of notification you want to receive (push notification on mobile app, Slack message or email) and when it should be delivered. Advanced settings: If you want to modify the alert layout, add recipients or set related metrics, open "Advanced settings" where you can set additional options. In "Related metrics", you can add other metrics which will be sent to you with he alert. In the message layout, you can customize the text sent to you in alert. You can also select recipients for an alert. Save the alert by tapping the “Save” button. Great, you have created your alert and now nothing can surprise you! Check this article to see how to set up or edit alert in mobile app. To edit an existing alert, just click on "Edit" button at the "Alerts" page. 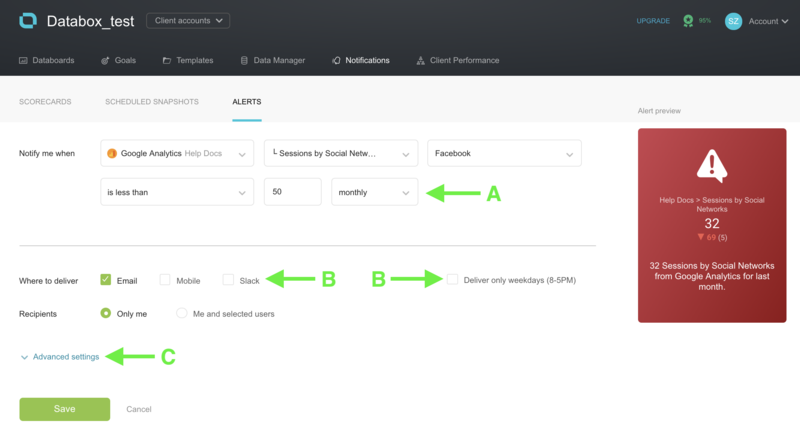 You can modify the metric settings, conditions or delivery options like you did when you created the alert. If you click arrow next to Edit, you will find options to "Duplicate" or "Delete" selected alert. tap on the Alerts tab (the bell icon) from the navigation bar at the bottom. tap the “+” button in the upper right hand corner. name your alert (maybe something like “Conversion rate alert”), and select the metric you’d like to be alerted on. Tell Databox when you’d like to be alerted by selecting the date range (last 30 days, etc. ), condition (increased, decreased, etc.) and threshold (10%, 15%, etc) for that alert. click “Save” in the upper right hand corner. hit “Save” in the upper right hand corner when you’re finished.